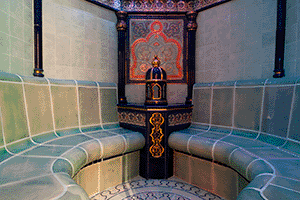 and the hammam of the Far East. 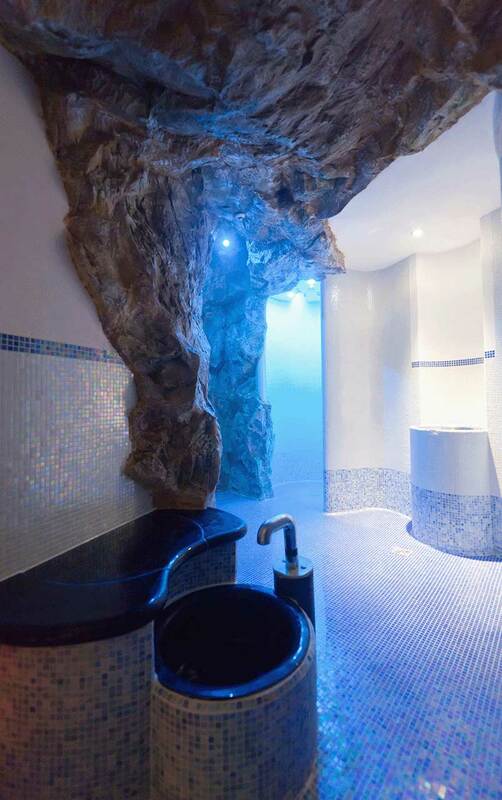 A salt cave is a natural environment for halotherapy. 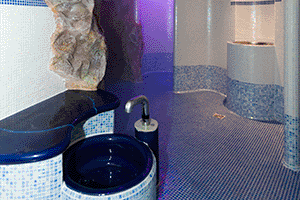 Studies have shown that 30 minutes in the salt cave are providing equivalent benefits at a weekend by the sea The halotherapy is to enjoy the benefits of salt air on the body. Benefits to the respiratory tract, the skin is embellished and stress-related disorders and fatigue fade. We chose the Himalayan salt to line the walls of the cave because it is a high-energy natural product. With its age (250 million years) and metamorphic geology of the Himalayas, this salt indeed offers the highest grade in the world micronutrients that are lacking in our modern diet. We have brought 18 tonnes to ensure optimum effect. It increases the resistance and revitalizes the body Therefore, it is particularly recommended during convalescence. 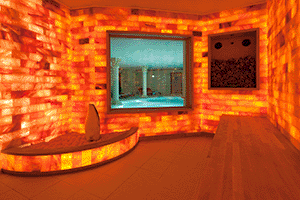 Kneipp stimulates the metabolism and elimination of body of impurities and strengthens the immune system. Regular practice of this discipline against advantageously disturbances of autonomic nervous system. It is also an effective way to fight against colds and flu in winter. The regular practice of the sauna (temperature between 80 ° and 100 ° in a dry atmosphere) is ideal for combating stress and activating the body's detoxification. In its purifying the active sweating removal of impurities by stimulating blood flow. 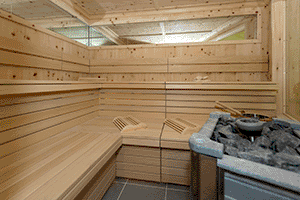 The sauna is also developing significantly the body's natural resistance. Usage advice: a first warming phase of 15-20 minutes, followed by 15 minutes of rest, Then again 15 minutes of presence in the sauna. 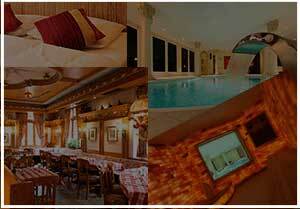 Over 30 different care, you want to relax or maintain your beauty, we will direct you to the most appropriate care. 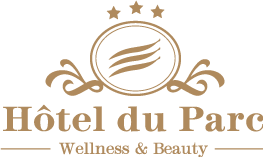 "Hélène and Asta" Our beauticians offer comfort services and wellness by introducing you to various body treatments and facials. 1 Product facial cleanser for only 10€ more. spirulina,massage oil peppermint Exceptional offer: 2nd refreshing care -40% discount (discount made on the care that the price is lowest). 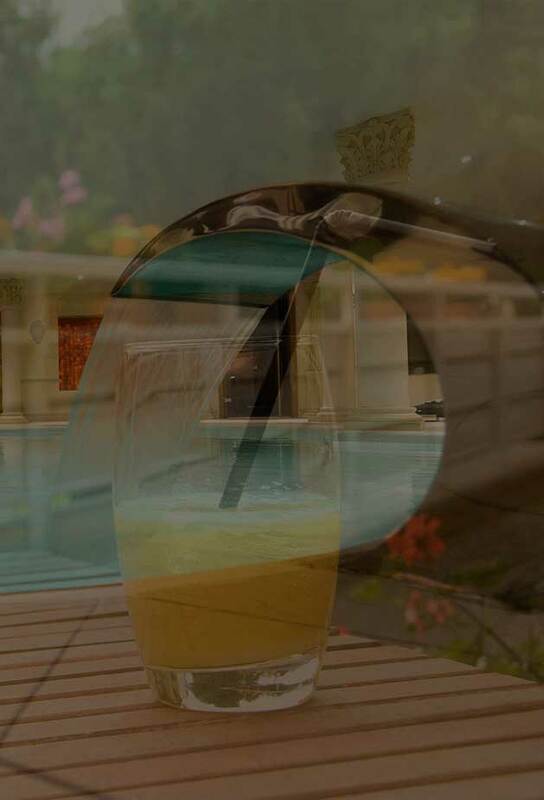 Pool unattended and accessible only to children accompanied by an adult person with respect for the quiet (10h-14h). Remember to bring your own towel to avoid renting do is charged.